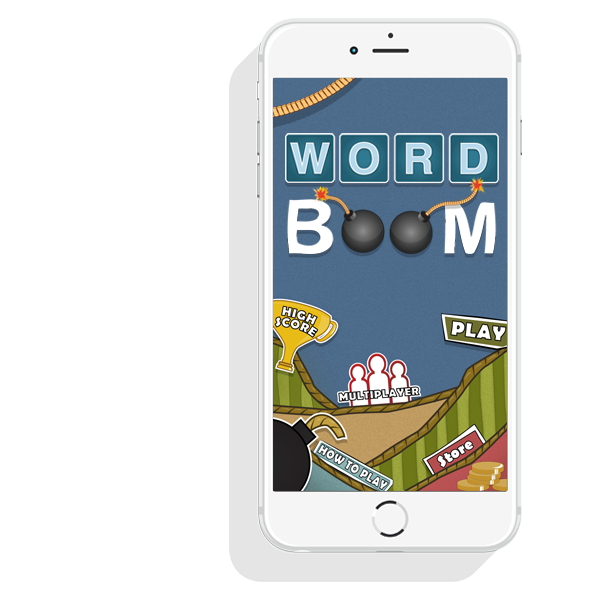 Word Boom is the next addicting iOS & Android game where a ticking time bomb is the enemy and your brain is the weapon. 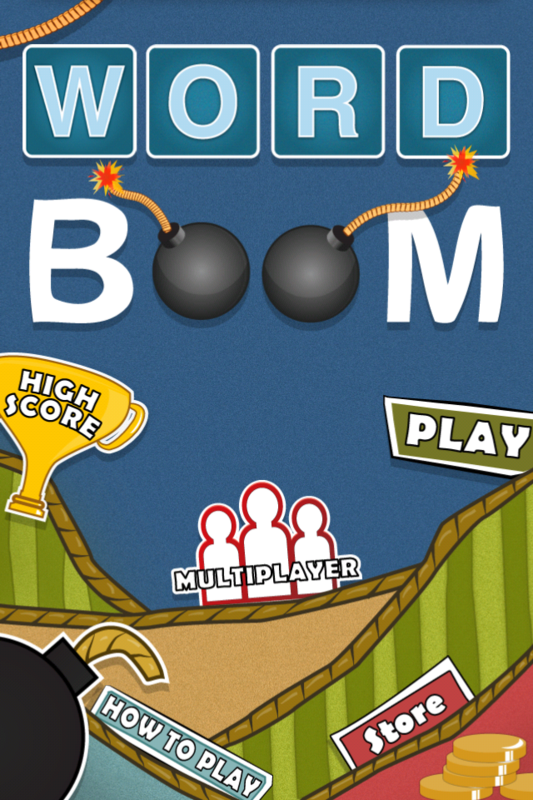 Play too slow and you’ll EXPLODE!! 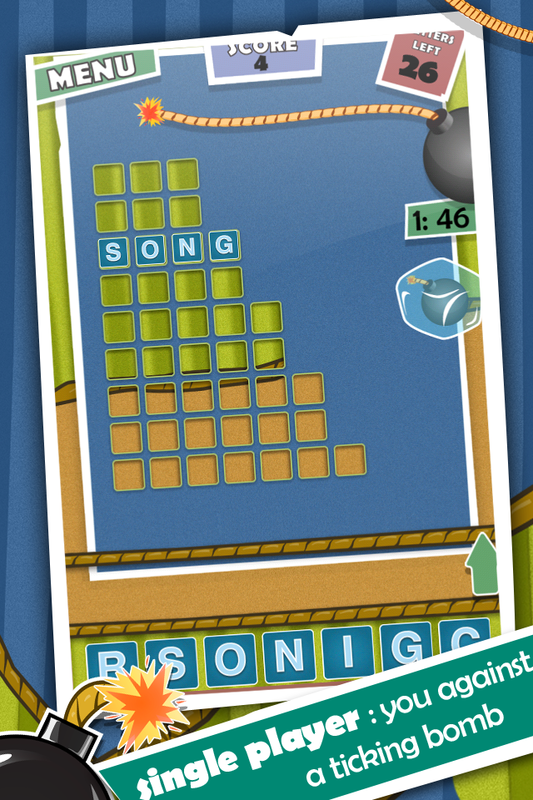 In this game, you’ll try to create words, but WATCH OUT because when you least expect it, a bomb could be coming your way to destroy your progress! Powers ups and boomers will affect your game play at every level. 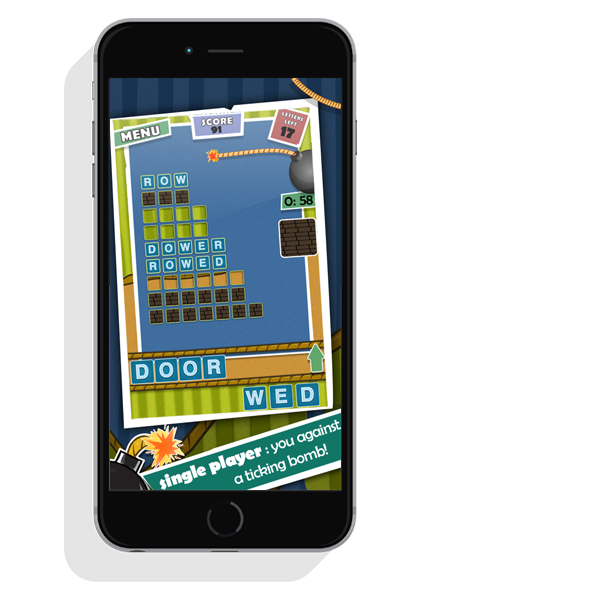 A power up can get you double or triple points but the boomers can speed up the bomb fuse or even flip your touches so that left is right and right is left. 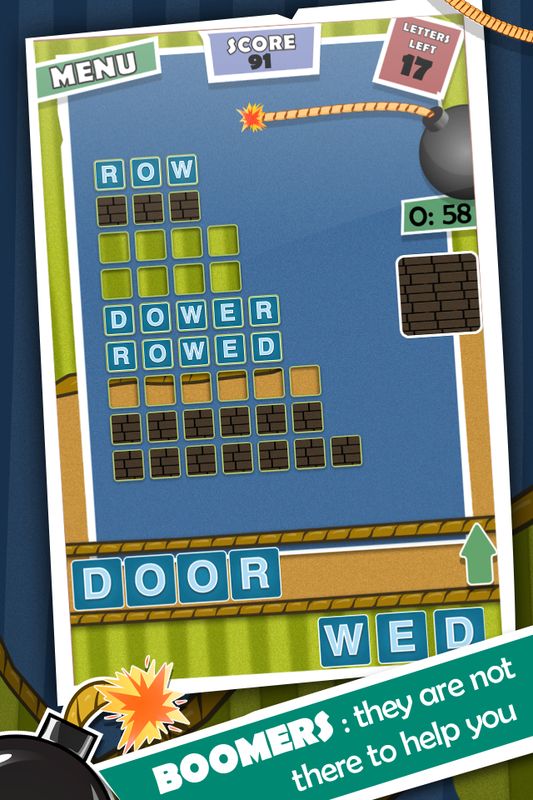 Word Boom is simple to understand and may seem easy, but don’t underestimate the ferocity of a badly timed boomer!